Jade Craftsman Builders, a green-building contractor based out of South Whidbey Island familiar with our residential cabinetry work, invited us to participate in a unique project off the remote Northwest coast of Alaska. 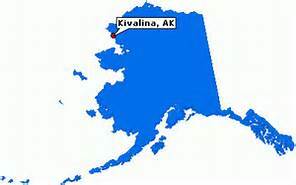 Kivalina is on the southern tip of a 7.5 mile long barrier island located between the Chukchi Sea and a lagoon at the mouth of the Kivalina River. It lies 81 miles northwest of Kotzebue. Rising sea levels due to climate change have dramatically impacted this community, and a plan for relocation is in process. 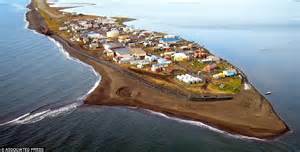 Historically, Kivalina was a summer hunting camp and not intended to be a year-round residence. A school was built in 1903 on Kivalina that discouraged nomadic traditions. 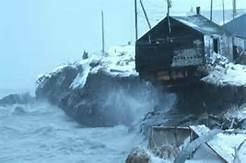 As sea levels rise, the practicality of traditional Inupiaq migration is revisited. Receding sea ice impacts food storage and the traditional hunting practices that sustain this community. To facilitate the planning process, an empty building in the center of town was renovated to serve as a community center and central location of historical media and archives needed to inform the re-location. We are honored to have our cabinetry and archive flat files be the keepers of these documents, and for this space to be the gathering place for this complex project. A follow-up blog post here will include photos of our cabinetry and the community center as construction unfolds.